The first step in troubleshooting any issue with any accounting sync is to check your accounting sync history page. A row will be added to the table below every time your Abacus account data is synced into your connected accounting software. You can filter either for Bank Debits or Corporate Card Expenses, and then show only the errors. An incomplete integration to Quickbooks Desktop can result in a failure to sync. If you’ve hit a roadblock with your Quickbooks Desktop integration, there are a few different steps you can take to troubleshoot the issue. Once you've pinpointed the issue, you can re-sync the record to your QuickBooks. If you've already accounted for the transaction, you can click 'Dismiss Error' to remove the error message from the list. 1.) Are all of your categories mapped to your chart of accounts? Abacus gives you the option to add additional data to each expense by setting up custom categories and sub-categories. You can learn how to do this here. After you’ve set up your Abacus Expense Categories, the next step is to map those to your GL codes. If you haven’t mapped your Abacus Categories to your GL codes, the sync to Quickbooks desktop will break. You can learn how to map your categories to your GL codes here. 2) Are any of your categories mapped to accounts that no longer exist in Quickbooks? If you’ve deleted any items on your General Ledger, Abacus cannot complete the sync. Open up your Categories page in Abacus and match this against your Chart of Accounts. If anything has been deleted from your GL, you’ll need to make the corresponding updates to your Category Mapping in Abacus. 3.) Are your corporate cards mapped to the corresponding card feeds? 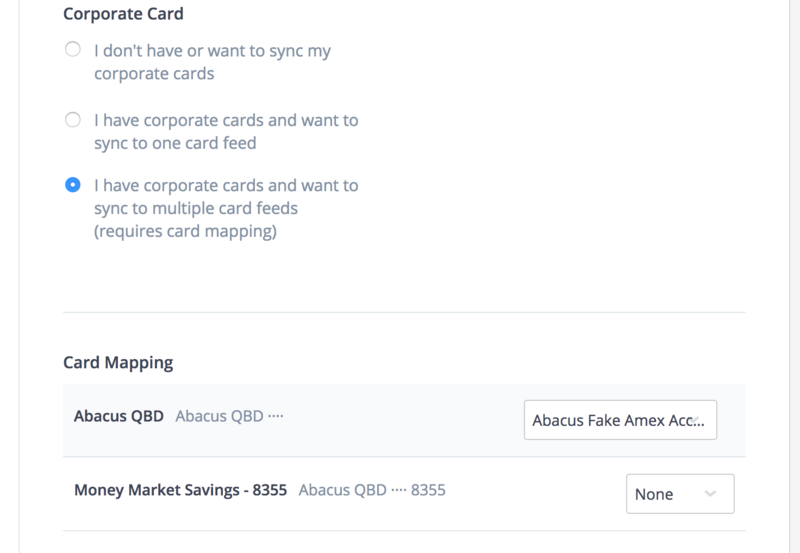 If you are using Abacus for corporate card reconciliation, and have multiple card feeds in your Quickbooks, you need to map your Abacus Team Cards to the corresponding feeds in Quickbooks. To set this up, go to the accounting sync page and scroll to Corporate Card Expenses at the bottom of the page. 4.) 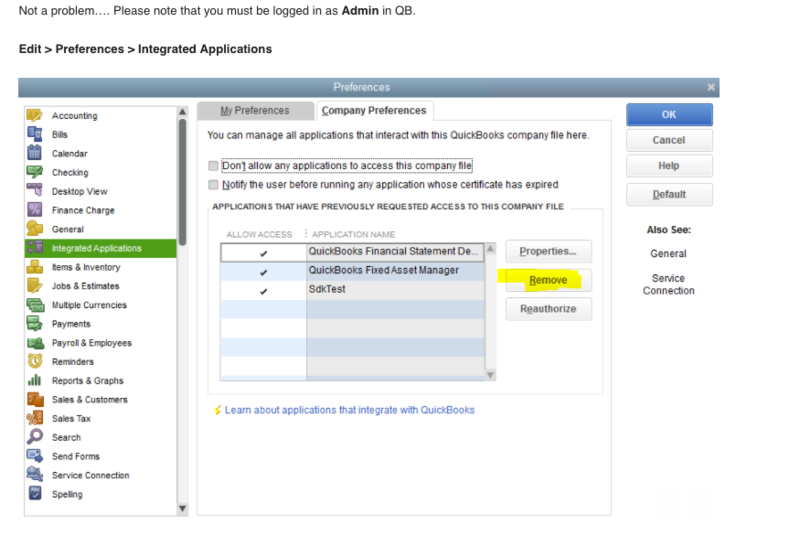 The person who set up QB Integration with Abacus is no longer an Admin in Quickbooks. If the person who set up the integration between Abacus and Quickbooks no longer has Admin permissions in Quickbooks, the new Quickbooks administrator must redo the sync. If you have an administrator set up in Quickbooks, it appears in the User List as either Admin or User Name (admin). To view the user list Choose Company > Set up Users and Passwords > Set Up Users. 5.) Are your Team Fields mapped to your Classes/Department/Location? Abacus gives you the option to set up Team Fields, which you can assign to your employees and map to your accounting fields in Quickbooks. You can learn how to do this here. After you’ve set up your Team Fields, the next step is to map those to the corresponding departments. You can go here to check if your Abacus Team Fields have been mapped to Departments in Quickbooks. 6.) Are your Expense Fields mapped to your Classes/Department/Location? Similarly, you can use Expense Fields in Abacus to add additional information to each expense. After you’ve setup your Expense Fields, the next step is to map those to the corresponding Department or Class. You can go here to check if your Abacus Expense Fields have been mapped to your Accounting Fields in Quickbooks. 7.) Is your web connector running? 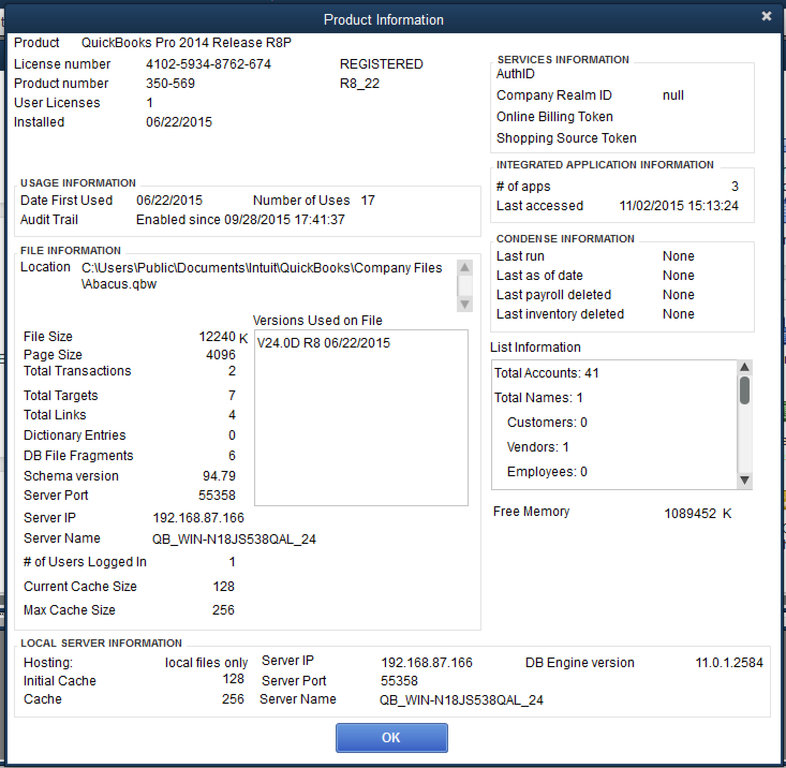 The Quickbooks Web Connector is an application that enables specially designed web-based applications to exchange data with QuickBooks products. 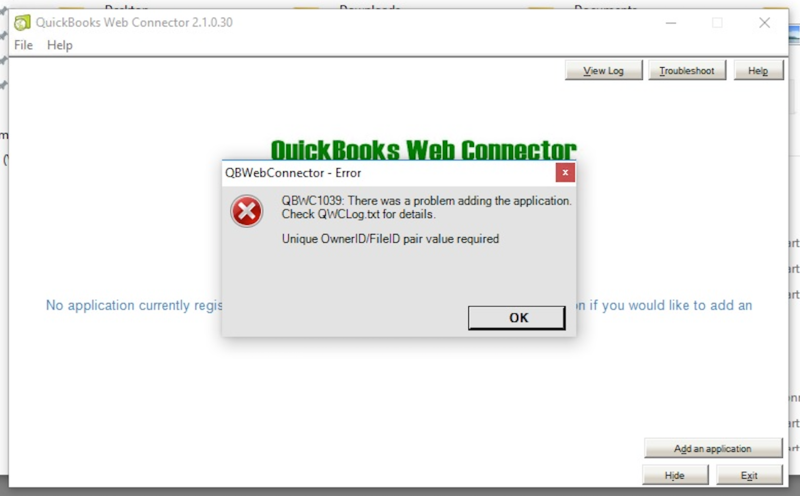 We suggest to always leave the Web Connector running in Quickbooks, because the sync can only happen if the Web Connector is running. If your Web Connector has not been running, you can launch the Web Connector and press Update Selected in order to pull in all unsynced items. That's it! Anything queued up to sync should pull through to Abacus. 8.) Is your default bookkeeping category mapped to an up to date account? In your Accounting Sync settings page, make sure that the default bookkeeping category is mapped to an account that still exists. If it's been edited, you will need to update your selection by choosing the up to date account from the dropdown menu. 9.) Is your QBD company file specified in your Abacus settings? 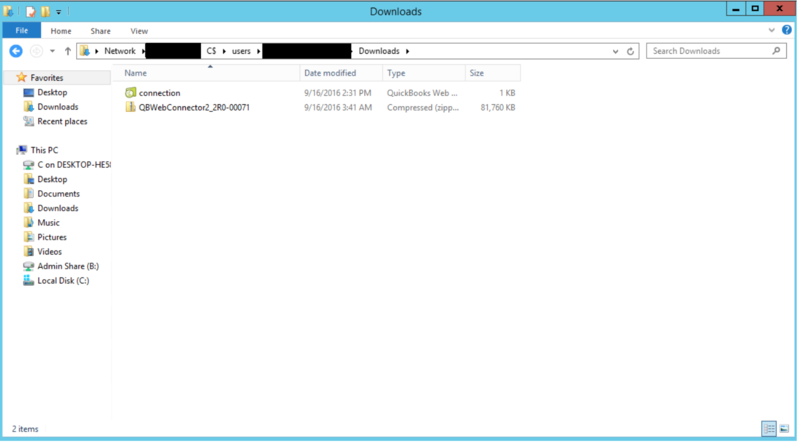 Step 4 in your Setup is specifying the QB company file. If you use multiple company files, you will want to set this up. If you just have a single company file, this is still a good way to ensure that the two systems are pointing in the right direction! 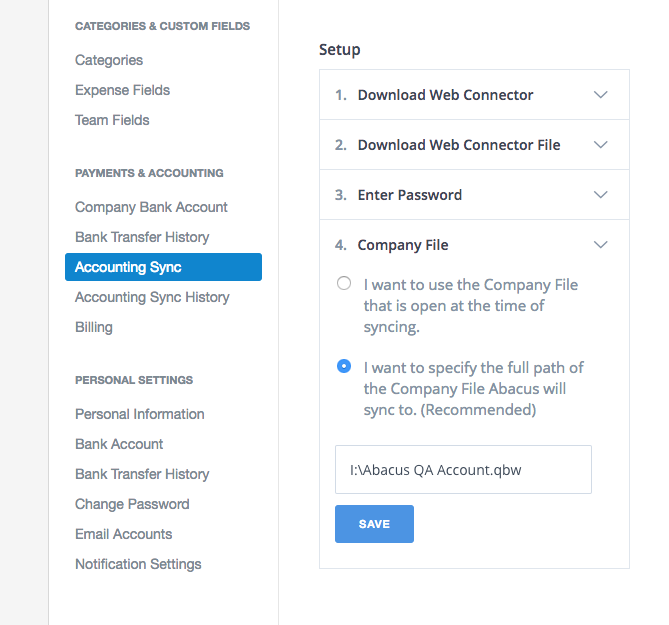 3) Go back to the 'Accounting Sync' page in Abacus to download the Abacus web-connector application (step 2 in setup). 1. Before beginning to troubleshoot, make sure the the .QBWC file is downloaded from Abacus, and that QuickBooks is open. 3. Right click on the .QBWC file and Open With > Notepad. 5. Change one character in each line, to either a different number or letter. Example: change "c" to an "a" and change the "d" to an "a". 6. It does not matter which letter or number you change it to, but it must be different. Save the file and close. 7. Launch the .QBWC file, and you should be good to go. How does the Abacus & QuickBooks Desktop integration work?